It is that time of the month again, where I share with you some of my favourite items from last month. I cannot believe how quickly these posts seem to come around, I seem to be writing them all of the time. I might have to start doing them every couple of months, because at the minute I feel like I’m not really changing my makeup up that much from month to month. The fact that we are in October already is just ridiculous, it didn’t seem like two minutes ago since it was Christmas. Now that I am getting older, I feel like time is just whizzing around far too quickly for my liking. I have wanted this foundation for such a long time and I cannot believe that I am only just getting around to trying this out. I saw this on the internet the other year and it really sounded like something I would love, but there was never really a buzz around it, so I always opted to buying something else instead of this. But after trying out the Cover FX Oil Free Foundation and adoring it, I thought it was about time that I finally gave this one a try. 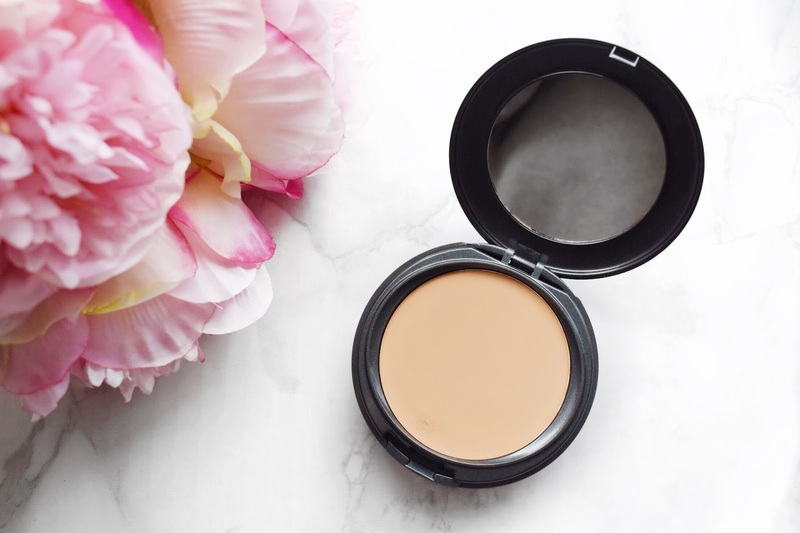 I am sure that most people will know that I am in love with cream foundations as a whole, so it really isn’t any different when it comes to this one. The coverage of this foundation is incredible, and it glides on the skin so nice and smoothly. Sometimes, when you go for a high coverage foundation with a lot of pigmentation, you have to compromise on the consistency, but this is really incredible and smooth. I like to go in with my Chanel paddle foundation brush to apply this to the face and I then blend it in using my Beauty Blender. I can build this up to get the coverage that I like, and it always looks nice and lightweight on my skin. I love reaching for this and it is one of my most used foundations at the moment. I know that people seem to really hate it when I mention this brush, but I am so in love with it and I can honestly say that it is the best brush that I have ever bought. I know that this is extortionately expensive and at the time it was the most money that I had ever spent on a makeup brush before, but if that is then backed up by quality, then I think it is worth it. I will admit that before I bought this brush, it really did take me a very long time to commit to it, with it being so expensive, but I looked into it a lot and read lots of reviews to make sure that I was buying something that was highly thought of. First of all, and as you can see from the images, this is a huge brush. I saw this being used on YouTube channels and I couldn’t deny that the peoples bronzer who was using this looked stunning, their makeup was just to die for. Naturally, after seeing that, it went onto my wishlist. The quality of this brush is just unlike anything that I have ever used before. I have been using and washing this brush for over a year now and it is still like brand new. Since buying this and falling in love with it, I have gone and bought more Tom Ford brushes because I really do believe in them! I feel like for such a long time I have been so focused on other concealers that I kind of forgotten about this old favourite of mine. I used to wear this concealer every single day for years and I do really like it, the only thing was that Tarte Shape Tape came along and this just got pushed back to the back of my drawer. When I rediscovered it, I fell completely in love with it. 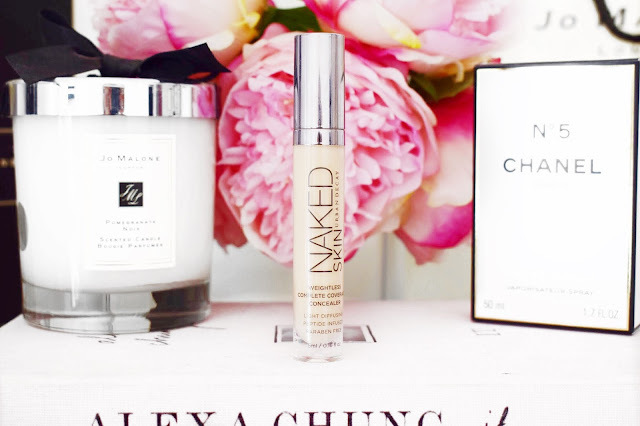 This is a cult classic product and it is still one of my favourites to use, my makeup always seems to look so perfect when I do reach for this concealer. I think this has been around for nearly 6 years or so now and I still love it just as much as I did back then. This is a medium coverage concealer, which I think is ideal for an everyday basis. When I am just going my usual 9 – 5, I don’t often feel the need to go too heavy with concealer, so this is perfect. The shade that I have in this is perfect, it is very yellow based and that is what I really love. 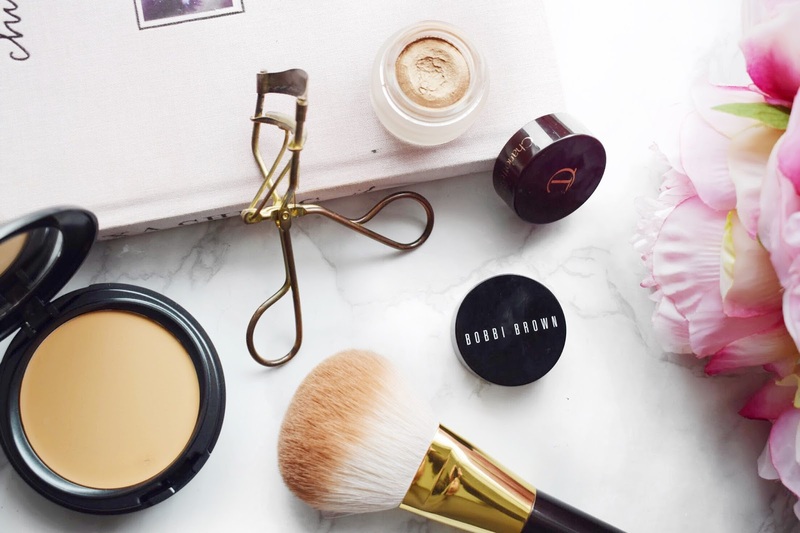 Plus, the wand of this concealer is so perfect, it is a thin wand that is really flexible, and it means that it curves to the contours of your face. I won’t ramble on about this product anymore because I am sure that you will all be sick of me mentioning it, but I really do love this and I know that I am going to continue to use it time and time again. I have had this concealer for a fair while now and I feel like I am only just starting to fall in love with it. I bought this concealer because it is just one of them iconic makeup products that I feel like has always lived on my wishlist. I haven’t really seen anybody talking about this recently and I don’t think I have read any reviews on it, I just wanted to try out some new things and this was at the top of my list. This past month or so, I have been using this before I go in with my foundation to correct certain areas on my skin and I am loving how my base makeup has been looking since. When I first received this concealer through the post I didn’t think it was going to work for me. To start with, even though I bought the shade Ivory, the shade itself was quite pink and it appeared more like a corrector than a concealer. Also, when I opened up the concealer to look at the product, there was small droplets of oil on top of it, so I thought that paired with my oily skin, it would be a complete nightmare. It wasn’t until I started to use this I realised just how much I really love it. I like to go in with this on my ring finger after I have primed my face but before I go in with foundation and it helps to perfect my skin. It hides my dark circles and my hyperpigmentation and that is all I want when it comes to a concealer. I know that I mentioned this in one of my last posts, but I feel like I have been using this that much that it needs to be mentioned again. This is a really stunning cream shadow and from the moment I saw it, I knew I had to have it. I first saw this all over different beauty blogs in flat lays and I thought it looked stunning and it was that what really spiked my interest. Then I saw Tanya Burr using this in a makeup tutorial and I just couldn’t believe how stunning her eye makeup looked, so I logged straight onto the Charlotte Tilbury website and had to buy this. I wasn’t sure to start with, how this was going to work. I have this in the shade Bette, which is a stunning gold shade. I will either apply this with my MAC 217 and I will get a really light wash of colour that makes your eyes really pop. If I want to apply it a little heavier for a opaquer look, I will pack this on using my ring finger. With this I have no creasing on my eyelids which is something that I was worried about with it being a cream product. Also, I have been using this same cream shadow for well over a year and I still have the same pot of it and it hasn’t dried out in the slightest. I really love this stuff. This bronzer really doesn’t need an introduction here on my blog because I mention it time and time again. A couple of years ago I saw Jaclyn Hill use this on her channel and I can remember it looking incredible, so I knew that I had to try it out for myself. The day that Makeup Forever was released at Debenhams I went online and bought it straight away. Since then, I have been in love with it and I reach for it near enough every single day when I am getting ready in a morning. And I am usually very fussy when it comes to bronzers, but this one seems to tick all of the boxes. There really isn’t one area where I feel like this bronzer slips up. I use it all the time and it is just a great product. The shade itself is deep enough to show up and look like a bronzer on my skin, but it isn’t too deep. It is lovely and blendable and I never feel like I have gone in with too much, if I want to sheer it out a little for a more natural look, it is really easy to do with a duo fibre brush. I have never used another bronzer before that looks quite as stunning on the skin as this one does. I love reaching for this and it always looks like a very natural tan rather than tonnes of bronzer on the skin. I am sure you will already know if you have been reading my blog for some time, but I am in love with this perfume. I first bought this a couple years back and it is one of them perfumes that even if I am not using it at that moment, I have to have one on my shelf at all times. I have been buying Jo Malone products for so many years and I really do love them, whether it be perfumes, candles, diffusers or hand soaps. I think it is such an iconic brand and I really do love it, which is why I continue to buy from them and the Pomegranate Noir Perfume is by far one of my favourite scents that they do. This is a stunning deep scent, which just speaks to me at this time of the year. I am never a really floral person, I always go for much deeper and muskier scents and that is why I adore this perfume so much. For them dark and rainy days, I think that this is the perfect fragrance today. Plus, they do the matching candle in this and I think it is my favourite thing I have in my home. I even bought the huge £230 candle so that it will last me for years. This is one of them perfumes that I reckon people will either love or hate, so I recommend going into a store and having a try of this because it is one of my favourites! I am sure that some of you already know that I have been creating my own MAC Pro Blush palette for quite some time now. I knew that I wanted to create a palette full of different shades and I wanted them all to be MAC, because I think their blushes are really high quality. When I started it, I didn’t really think about how expensive it would be to get all 6 shades, when in hindsight, I could have bought a Tarte palette with all of their blushes in for £40. You live you learn. But, this past month I bought the MAC Baby Blush and I am completely in love with it, it is the most perfect shade ever and I reach for it all of the time. This is a really pretty light shade that adds a beautiful flush back into the face. I have quite tanned skin and then when I go in with bronzers and contour, my cheeks can look pretty deep, so that is where a stunning blusher like this comes into play. I like to apply this just to the apples of my cheeks with my Morphe E4 and I will gradually blend it backwards along my cheekbones to make sure that it is blended in really flawlessly. I am so glad that I picked up this MAC blusher, it was the perfect addition to my palette and I really enjoy reaching for it, I think this is going to be a firm favourite of mine for a very long time. I know that I have mentioned this, so many times and it has been all over the internet for such a long time that you are probably all sick of it by now, but I am still head over heels for this Charlotte Tilbury Lip Cheat in Pillow Talk. You guys know me, Charlotte Tilbury in my eyes can do no wrong. I have loved her products for a very long time and I am still to find something that didn’t work out for me. This line of Lip Cheats from her, just blows every other lip liner that I have ever used straight out of the water and that is why I keep reaching for it and repurchasing it when I am running low. This is a stunning lip cheat and the colour is just perfection, it really is a ‘your lips but better’ kind of colour. This is a lovely blush pink shade that just seems to compliment so many people. What sets this lip cheat apart from other lip liners is that fact that I think it really does cheat the shape of your natural lips. When I line my lips with this and build up the colour a little, because it is a thick and creamy pencil, it helps to disguise your natural lip shape. I first bought this in around 2015 and it is still one of my favourite makeup products that I reach for on a near enough daily basis. So, there you have it, my September favourites. I know that there is hell of a lot of things in this post that I have already mentioned, but I am trying to curb my spending a little. I love every single one of these things and I have been reaching for it so often. As normal with everything that I have mentioned in this post, I will link it down below in case you want to check it out. Make sure to click the names of the items above if you want to see my full review on any of the items. Leave me a comment down below and let me know some of the items that you’ve been loving the past month. It is such an amazing colour! Happy Belated Birthday Lovely! Pomegranate Noir is my FAVE perfume, such a unique fragrance! Happy birthday for last week! I love mac blushes! I've just found your blog and been obsessing over your posts, I love it so much I have subscribed hehe. Aww thank you sweetie, I would love to check out your blog! They are expensive, but very intense so they last for a very long time! Thank you, it feels very strange to now be in my mid-twenties! Happy belated birthday! 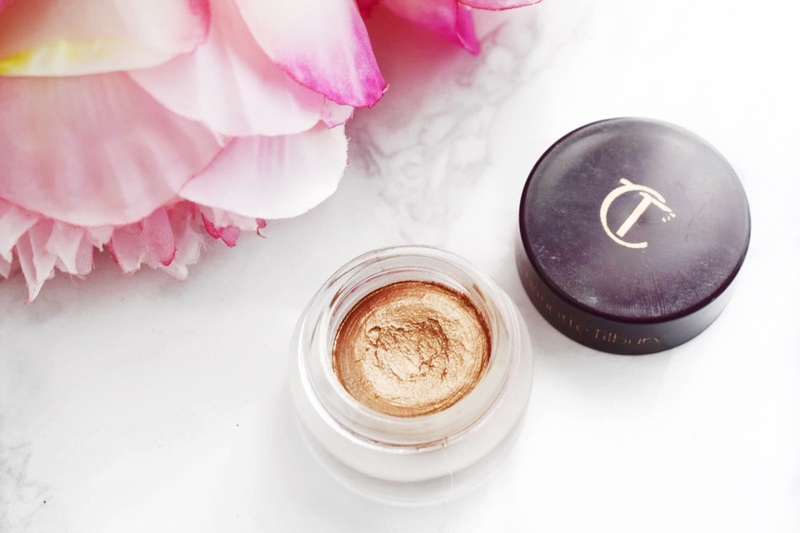 I have the charlotte tilbury eyes to mesmerise eyeshadow and I love it, I can see why you like yours too! :) I haven't repurchased it yet though, a bad eczema flare up has made me cut things down to the minimum so I haven't been wearing eyeshadow! Aww thank you sweetie. I feel your pain with the eczema, mine is playing up on my skin at the moment! Aww that is the only reason that I do these posts, so people can check out items that I really do love and enjoy! I really want to try the Cover FX Foundation, sounds so good! It is amazing and the coverage is second to none! I really need to try the UD concealer! I still completely adore it! I've heard so many rave about that tom ford bronzer brush, it looks so beautiful! It is amazing quality, I love it!